Nora Connolly - Nora Connolly O’Brien (1893-1981) was born in Edinburgh and moved to Ireland with her family at the age of three. Following the ideas and political views of her father, Connolly became an influential Republican and Socialist writer and activist. After the Easter Week revolution in 1916, Connolly moved to Boston, where she wrote The Unbroken Tradition, in one of many attempts to gain support and recognition for the Irish Republic. As World War One started, American president Woodrow Wilson banned the book, as it was considered anti-British. 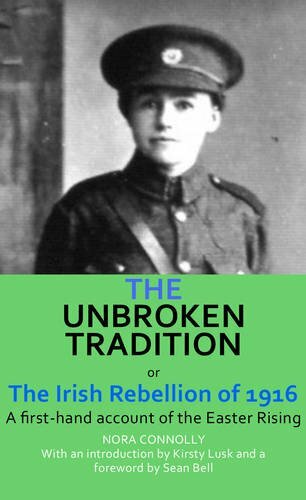 Connolly returned to Ireland in disguise a year later and remained active in the Irish women's Council which became an auxiliary of the Irish Volunteers in 1916, and fought in the War of Independence in 1919-1921. In 1922, Connolly and other members of the Irish women's Council were imprisoned. In 1926 Connolly and her brother initiated the Workers Party of Ireland from 1926-7 and in the following years she operated Dublin’s Labour Party. In 1957, Connolly was nominated to the Seanad Éireann (Senate of Ireland) and she is technically listed as a Fianna Fail senator. Shortly before her death on the 17th of June 1981, she spoke at the 1980 Ardfheis of Sinn Féin.